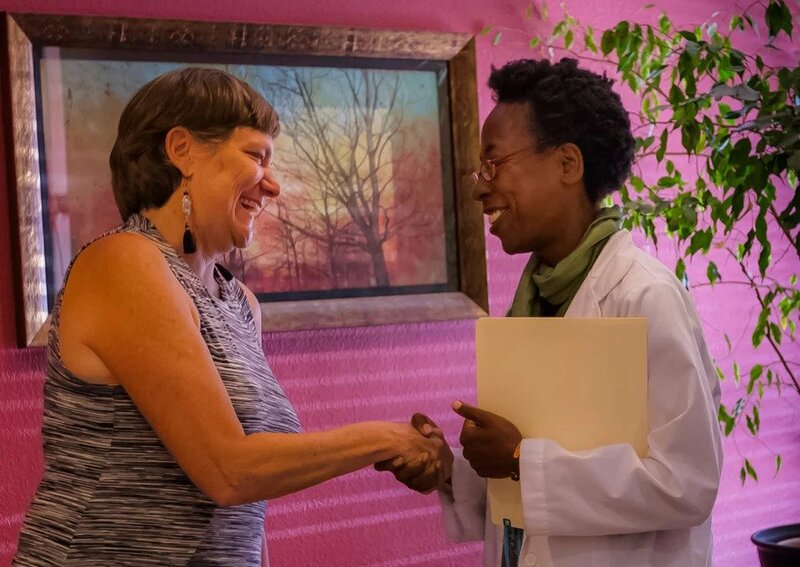 The AIMC acupuncture clinic serves the community and provides opportunities to student interns to learn how to become skilled and caring practitioners. AIMC Berkeley’s talented Clinic Intern Practitioners provide quality care under the supervision of a licensed faculty supervisor. 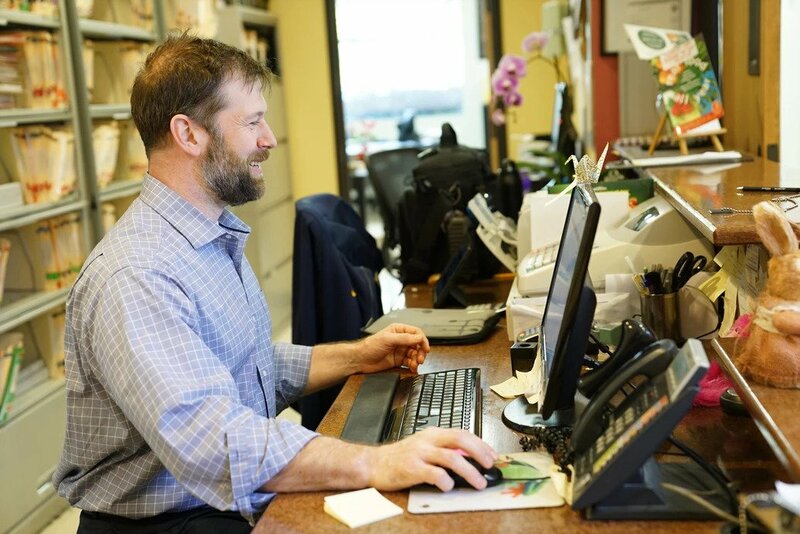 We treat a variety of conditions including (but not limited to) pain management, fertility, women’s health, colds and flus, digestive issues, stress, mental health, autoimmune conditions, aging support, pediatrics, and immune support. The length of appointments vary from 75 minutes (not one hour) to 2 hours, and from $20 to $30. Our clinic has 13 private treatment rooms. You can be sure that you will be taken care of by distinguished faculty, experienced supervisors, hardworking staff, and innovative intern practitioners. 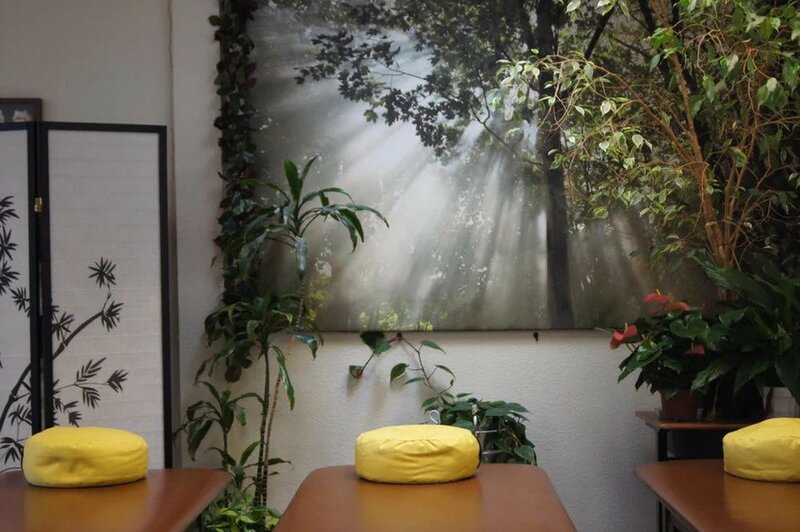 AIMC Berkeley’s emphasis on education encourages a detail-oriented and holistic approach to each treatment. Because our Intern Practitioners are currently enrolled in classes with some of the most highly respected LAcs in the area, their knowledge of both classical and modern techniques are at the forefront of their minds, allowing them to provide you with the best care. 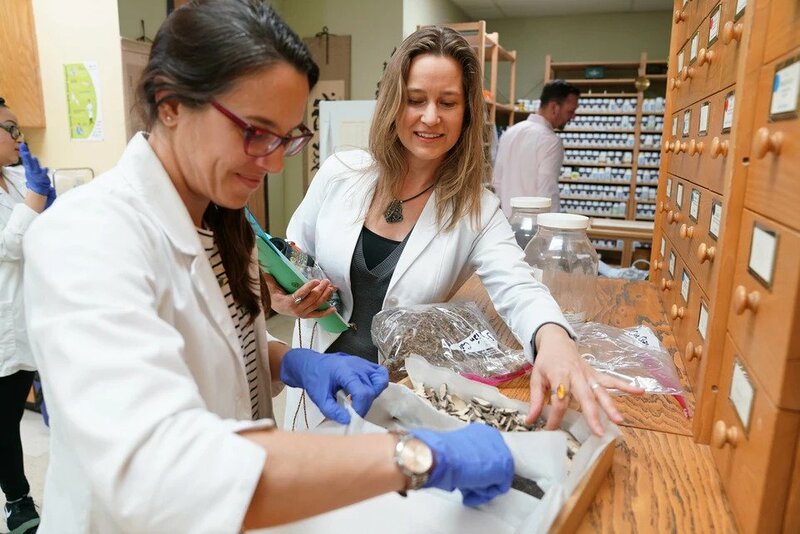 Before beginning work in the clinic, all interns have completed at least 60 semester units of an undergraduate degree and at least one year of Masters of Science Oriental Medicine (MSOM) curriculum, including observing treatments with experienced practitioners. 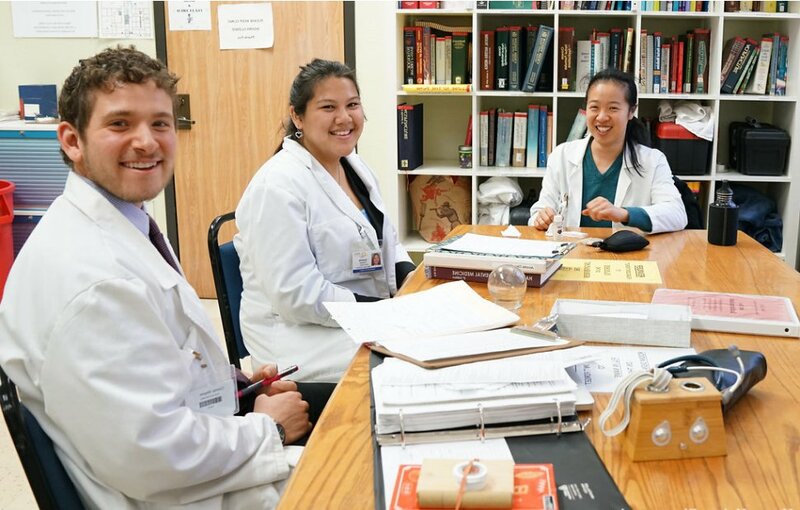 AIMC Berkeley’s highly talented and professional Clinic Intern Practitioners are a multifaceted team of compassionate and motivated individuals ranging in age from twenties to sixties and possessing diverse backgrounds and professional goals. Patients may receive acupuncture treatments, herbal consults, bodywork, and other modalities and lifestyle advice as appropriate to the specific concerns of each patient. You will see an intern who has already been practicing for a year, along with their experienced supervisor. Many Senior Interns have developed specialties and have streamlined their appointments to give you as much individual attention as possible. Observation students may be present at this level. Supervisors are present during treatment for Level Two. 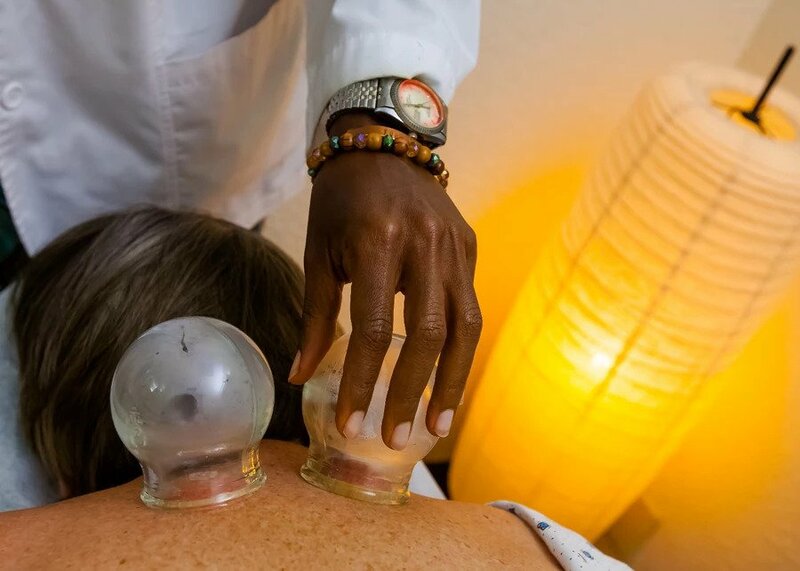 You will be seeing a team of 2-4 interns plus their supervisor, which means you can get moxibustion, guasha, cupping, contact needling, and other modalities during your acupuncture session when all interns participate in your treatment. This means more holistic healing for you and more ‘bang for your buck’. Plus, because you’re seeing a team, each person will notice different aspects of your case and have innovative ideas, so you can be sure of a well-rounded, meticulous, and effective treatment. Treatment by a licensed practitioner while observed by a group of students. You get to see an experienced practitioner at little cost, while getting the benefit of hearing students discuss your case, allowing you unique insight into the diagnosis and treatment process. Interns focusing in women’s health can help you reduce symptoms of PMS, cramps, mood swings, bloating, amenorrhea, irregular cycles, endometriosis, fibroids, breast distention, menopausal dryness, hot flashes, night sweats, insomnia, and more. Interns focusing on men’s health can help you find relief from prostate and urinary issues/symptoms, ED, low libido and more. Interns focusing in LGBTQ & Trans Health are interested in helping you counteract surgical and hormonal therapy side effects, lessen phantom nerve pain and scarring, increase or restore fertility, balance emotions, support healthy liver function, restore hair growth, treat acne, and more. Interns focusing in senior health can help you reduce pain & increase mobility, increase memory, improve mood & sleep, regulate digestion, reduce constipation or diarrhea, incontinence & urinary symptoms, regulate blood pressure, sugar, cholesterol and more. Interns focusing in fertility can help you achieve your goals, whether that’s supporting your natural fertility, working with you and a partner, alternative insemination, IVF, or other options. Interns focusing in stress and mental health can help you naturally balance mood, lift depression, ease anxiety, set goals, work through addiction, relax, and calm your mind so that you can focus on the rest of your day. Interns focusing in pregnancy and postpartum can help you have a healthy and comfortable pregnancy, birth, and postpartum recovery. They can help stabilize pregnancy, treat morning sickness, constipation, and even induce labor. They can help with postpartum depression, lactation, and more. Interns focusing in pediatrics use gentle needling or shonishin, non inserted rounded contact needles, to provide a comfortable treatment. Kids love this style of acupuncture and infants as young as one month can receive treatment. Acupuncture can reduce ADHD symptoms, calm restlessness, improve sleep, digestion, potty training, improve skin conditions and asthma, reduce food allergies and more. Interns focusing in orthopedics and sports medicine can do orthopedic evaluations of your pain and injury with a licensed supervisor to evaluate your case. They can help you reduce pain, swelling, and inflammation, speed recovery, reduce the incidence of further injuries, and more. Interns focusing in contact and shonishin are happy to provide non-invasive contact needle treatments for kids, elderly, and those with needle sensitivity or fear. Interns focusing in Japanese Meridian Therapy use this alternative method of diagnosis and treatment which differs from Traditional Chinese Medicine theory. Diagnoses with this technique rely more on palpation and touch rather than tongue and pulse and treatments incorporate contact needling and gentle shallow needling. Patients with needle phobia or sensitivity often prefer this technique.